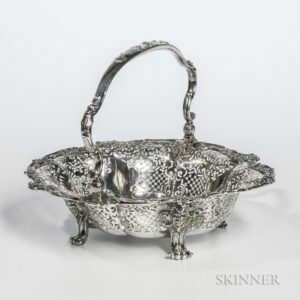 European Decorative Arts, Ceramics & Silver Featured in April Online Auction | Skinner Inc.
Over 250 lots of silver with a broad range of flatware and hollowware from the United States, England, and Europe. Span a wide array of styles and mediums from Louis Vuitton and Goyard suitcases to bronze chandeliers. Previews will be held in Boston on Wednesday, April 11th from 12PM – 5PM and on Thursday, April 12th from 12PM – 8PM. Free and open to the public, specialists will be on hand to answer questions. Bidding for this auction is available only over the internet. Log in or create a new account on the Skinner website to participate. 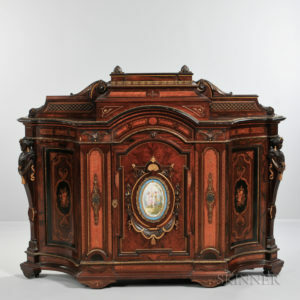 Learn more about online auctions. This entry was posted in Blog, News and tagged antiques, auction, Continental silver, European, european auction, European ceramics, European decorative arts, European Decorative Arts auction, european furniture, European glass, European porcelain, European sculpture, online auction, Stuart Slavid by Kerry Shrives. Bookmark the permalink.